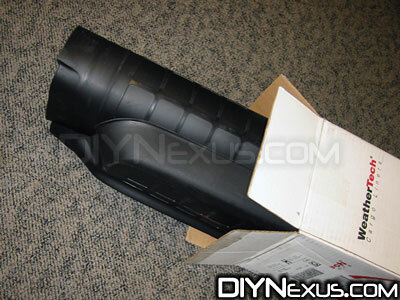 This DIY will explain the procedure for installing a Weathertech cargo (trunk) liner in a MK3 Jetta. Note: Although the trunk design is different between the Jetta and Golf/GTI, as well as between generations (MK3, MK4, etc. ), the installation procedure is the same for all of them. Be sure to check out the review in our Reviews section! No tools are required for this project! 1) Open the trunk and empty it. This is a perfect time to vacuum away all the little bits that have mysteriously gathered, and somehow multiplied in your trunk. 2) Remove the liner from it’s shipping box. 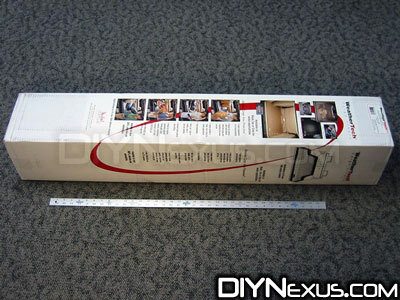 The liner has been rolled up in the box for a while, and some of the edges may look a bit creased or out of shape. Don’t worry, this isn’t a problem, as you’ll see in the next step. 3) Maneuver the liner into the trunk. 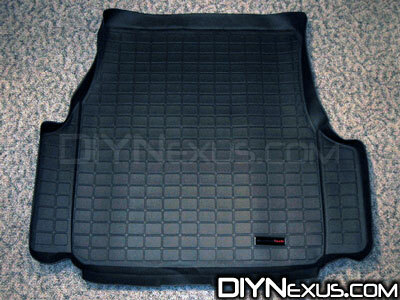 The liner is made out of a flexible resin, so it’s very easy to move around until it’s in place. If any part of the liner is lifting away from the bottom of the trunk, simply place a weight on it to help it flatten out. 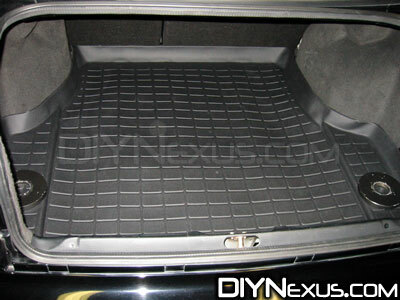 Once it’s been in the car on a warm, sunny day, the heat in the trunk will help relax the liner and it’ll lay flat against the floor. 4) That’s it! 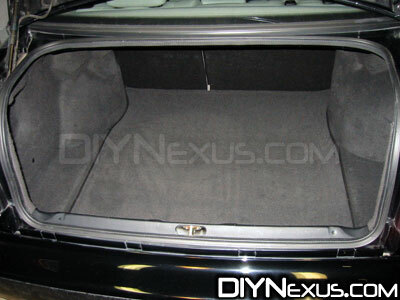 You can remove the weights and fill the trunk back up with everything you removed in the first step.